Infrared weather satellite loop showing storm trends. 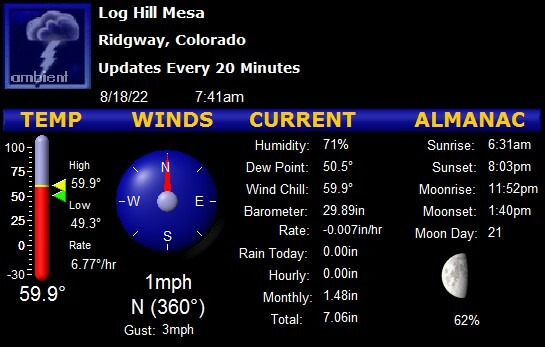 The other web-accessable Ouray County weather station, located near Hwy 550 below Ridgway Dam. the hardware and software behind this site, for those interested. More info about this website, and who's behind it. For information only. Do NOT use for critical functions: consult official weather sources.